Is there a better alternative to UniMailer? Is UniMailer really the best app in Email category? Will UniMailer work good on macOS 10.13.4? UniMailer is the ideal companion for announcing new products and services to your customers, delivering and managing newsletters, or simply staying in touch with family and friends. UniMailer will make the process effortless by managing various user groups, adding your own parameters for personalizing each mail using an internal data base stored, adding various attachments. 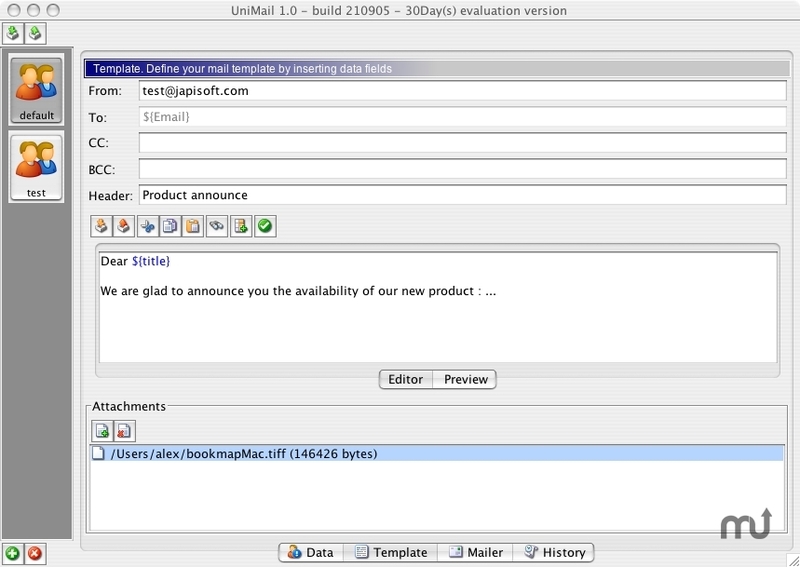 UniMailer works with plain text or html text. Note: Although Finder indicates no version number for this application, the developer refers to it as version 2.3.1. UniMailer needs a review. Be the first to review this app and get the discussion started! UniMailer needs a rating. Be the first to rate this app and get the discussion started!